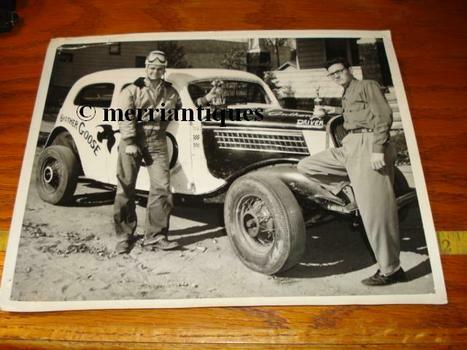 Car painted Brother Goose with driver "Joe Anthony" on hood, shows two guys with trophies. Any additional info is appreciated! well i cant identify that photo, but I have 100s of circle dirttrack photos from middle 50s to middle 70s most of them are of my father's cars over the those years. have lots of trophys he won as well. he also built every one. I would love to post many but not good at figuring how. he raced in the 5 state area, Mn,No + So Dakota,Ia, Wisc, and Canada. Thanks Dirty_Don I am on Amer. Torque under this name. contact me if you like.